Zencube is a brand new take on the Himalayan salt lamp. Known for a multitude of health benefits, salt lamps are the perfect antidote to all the unseen negative effects of technology around us, helping us breathe easier and sleep better. Zencube contains the natural air purification of traditional salt lamps nested within a sleek, modern design. The all-in-one system connects to an app and changes colors to reflect your mood, with the option to add essential oils to its membrane. Its LED bulb uses 90% less energy than a halogen bulb, while providing soft, ambient mood lighting all day. Zencube’s Apple-reminiscent design also will not melt or get sticky like traditional salt lamps — something we can all say Om to. The "health benefits" of salt lamps are generally based around the bulb warming the salt and releasing ions in to the air. With an LED source there's no heat so the claimed ion release can't happen. On a larger note, if ion release is actually happening then any salt lamp should slowly degrade and get lighter over the course of its life but that doesn't happen so the health benefits don't happen either. Either that or the salt lamp should get dirtier than the surrounding furniture as it attracts pollutants. I can tall you that neither is the case; the lamp is a placebo. 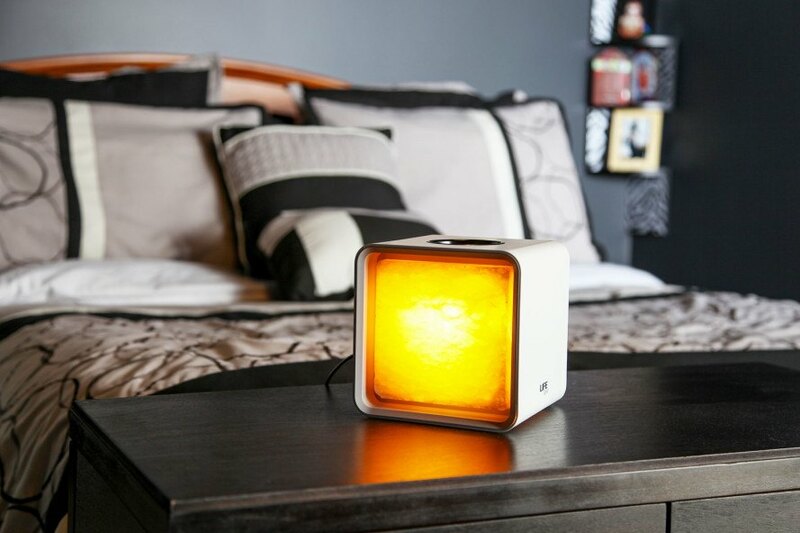 Zencube is a brand new take on the Himalayan salt lamp. Known for a multitude of health benefits, salt lamps are the perfect antidote to all the unseen negative effects of technology around us, helping us breathe easier and sleep better. Zencube contains the natural air purification of traditional salt lamps nested within a sleek, modern design. The all-in-one system connects to an app and changes colors to reflect your mood, with the option to add essential oils to its membrane. Its LED bulb uses 90% less energy than a halogen bulb, while providing soft, ambient mood lighting all day. Zencube's Apple-reminiscent design also will not melt or get sticky like traditional salt lamps -- something we can all say Om to.